Terms and conditions serve to make business relationships with customers legally binding for both parties. The rights and obligations of the seller and the buyer are governed by the Czech legal order and these General Terms and Conditions. In the event of a litigation, the local jurisdiction falls under the court in České Budějovice (District Court or Regional Court in České Budějovice, depending on the factual jurisdiction). The buyer (consumer according to the Civil Code or businessperson if the purchase is related to their business activity) provides only their contact details at the beginning of a business relationship. The legal relations between the seller and the buyer not expressly regulated by these terms and conditions are governed by the relevant provisions of Act. No. 89/2012 Coll., the Civil Code, as well as related regulations.. The Seller declares that all personal data are confidential and will be used only to perform the contract with the buyer and will not be otherwise disclosed, provided to a third party, etc., except for the distribution or payment situation related to the ordered goods (communication of the name and delivery address). Buyers make an order through an e-shop on the Seller's website. Such order must contain the following information: type of goods, their quantity, price, name and contact details of the buyer and the place of delivery.This order is a draft Purchase Agreement and the Purchaser hereby confirms and agrees with these General Terms and Conditions as well as with the Complaint Procedure. Such order will be confirmed by an e-mail to the buyer within 24 hours. In the event that the ordered goods are not in stock, the seller and buyer will arrange an individual delivery date or the seller may suggest a delivery of other adequate goods. By sending the order the customer agrees with the price of the goods. If you are interested in a price reduction based on a competitive offer, it is necessary to negotiate this price with the seller in advance (before sending the order). Seller reserves the right to change prices without prior notice. Refund is not possible. Changing the billing address on the already issued invoice is possible only in the same month of issue, at the request of the buyer. The operation is charged for a fee of 8 £, which serves to cover more costs associated with this operation. By ordering the goods on the seller's website, the buyer agrees to receive informative emails. This consent can be withdrawn at any time. The DEMO or ZR sign is for tyres that have been exhibited and used by our company. These tyres were used for about 40 miles. Tyres marked with the above mentioned green signs are inscribed in a special mode at a sale price. The ordered goods are paid by the buyer using the method of payment they have selected when ordering. Until the goods are paid, the goods are the property of the seller. In the case of ordering unusual dimensions or orders worth more than 1,000 GBP (VAT included), the seller may request payment of a deposit of 50% from the value of the order. The deposit paid in this way will be set off from the total purchase price. The PayU payment gateway, through which we implement selected payment methods, is operated by PayU Czech Republic, s.r.o. PayU is licensed by the CNB (Czech National Bank) and is subject to rigorous regulation by the CNB. All passwords are securely encrypted using SSL and / or 3D-Secure. Complaints are handled in a standard manner in accordance with applicable law. We encourage customers to pay due attention to the takeover of the goods with respect to possible damage caused during the shipment, thereby avoiding any inconsistencies. Goods are dispatched from warehouses until 6 pm each working day. The delivery date will be announced by the seller to the buyer upon confirmation of the order. Most shipments are delivered to the buyer within 7 business days, tires not in stock, within 14 days. The seller informs the buyer about the estimated delivery time and possible delay, the seller will supply this information with the order confirmation. Seller reserves the right to deviate from the agreed delivery time for up to 3 business days. In the case of deficient capacities of delivery services, the delivery time may be extended from 3-7 business days. Delivery of the parcel is carried out via the shipping company. The price of shipping within the territory of the United Kingdom is ?? ?, - GBP / piece including VAT. The delivery service will contact the buyer via sms on the delivery day, where the details of the delivery, the approximate time of delivery, the amount of the cash on delivery and other possible items will be notified. The delivery is normally done between 8:00 and 18:00 on weekdays (exact delivery time can not be affected but can be specified after contact with the driver). In the event of failure to reach the delivery address, the shipper will leave the notification and will attempt to deliver the package next working day one more time. The tracking of the shipment can be viewed at the carrier's website after entering parcel number, which arrives to the customer by e-mail after the carrier receives the package. The buyer is obliged to immediately check the delivery status of the shipment with the carrier, especially the type and quantity of the goods and the integrity of the packages according to the attached delivery note. 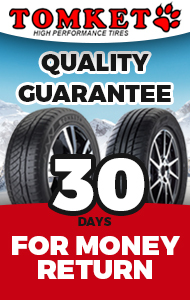 For non-standard tires with a weight greater than 31.5kg (some cargo tires in the dimensions R17.5, R19.5, R22.5, agro-industrial and some atypical SUV dimensions) the transport will be solved individually in agreement with the buyer. The buyer has the right to withdraw from the purchase contract in accordance with § 1829 of the Civil Code within 14 days of the date of receipt of the goods; in the case of delivery in part this period is calculated from the date of the last part of the delivery of the goods. Withdrawal from the contract must be made in written form and fulfillment of this condition is considered as sending an e-mail to info@nejlevnejsipneu.cz, withdrawal can also be done by completing the form according to the Civil Code. If the buyer decides to do so, undamaged goods, without signs of use or wear, must be delivered without undue delay to the address of the warehouse of dispatch. Before returning the goods, the buyer will send an e-mail with the invoice number and at the same time communicate the bank account number to which he wishes to return the amount paid. From this amount, the actual costs incurred in returning the goods (in particular transport costs) will be deducted. Seller has the obligation to return this amount to the buyer within 14 days of receipt of the withdrawal from the sales contract, but not before the returned goods have been returned or dispatched. The seller is entitled to withdraw from the contract once and for all. The parties agree that the buyer waives any claim for damages in this case. Seller is liable for defects occurring at the time of takeover, according to § 2161 et seq. civil code. The seller decides on the complaint within 3 working days at the latest, and this period does not include a period appropriate to the type of product or service for expert judgment of the defect. The seller will notify the buyer by e-mail and possibly by phone. b) If the fault is removable, the fault will be removed free of charge. In the case of an irremovable defect, the goods will be exchanged at the seller's expense. - wear to the limit set by law. The buyer immediately contacts the seller by email or by telephone. Based on this communication, the seller will propose a way of transporting the goods to their address, or the buyer can arrange such transport himself / herself. Upon receipt of the goods at the address of the seller's branch, the seller informs the buyer and the agreed method of exchange will be realised or the lawful way of claiming goods. If the buyer detects additional discrepancies on the invoice that is included in the delivery, or if this invoice is not included in the delivery, they will immediately contact the seller, who will adjust the invoice to their requirements (if the law permits) and will send it again via e-mail to the e-mail address of the buyer. In the case of foreign buyers with a valid VAT ID, the purchase of goods will be exempt from value added tax. When the goods are taken over, it is in the buyer's interest to carefully check the contents of the consignment, for later complaints about the type, quantity or damage of the goods during transport, they may not be taken into account. By signing the delivery note the buyer confirms that the goods have been delivered in order. When receiving goods carefully check the condition of the goods. If everything is in order, confirm the receipt of the goods by signing the delivery note. By signing this, you agree to the fact that the goods have been delivered without defects and in the quantity specified in the delivery note. If the goods have any defects at the time of delivery or disagree with the type or quantity, these must be noted on the delivery note. If the goods are damaged, the buyer may refuse the takeover. If no defect information is recorded on the delivery note, the complaint procedure need not be initiated. From 1 February 2016, the CTI is the mediator in the case of consumer disputes. In this regard, we inform you that if you do not agree to a complaint, if any dispute arises from the purchase contract, you have the right to apply to the Czech Trade Inspection with a proposal for out-of-court settlement of consumer disputes. The Czech Trade Inspection Authority acts as a mediator. All the mediation requirements can be found on the website of the Czech Trade Inspection (www.coi.cz) in the section "Out-of-court Dispute Resolution with CTI from 1 February 2016" as well as in Act No. 634/1992 Coll., On Consumer Protection, as amended later regulations. If the goods ordered by the purchaser are to be delivered outside the territory of the Czech Republic, the following changes in the business terms and the purchase contract are made. The seller will fulfill his obligation to deliver the goods as soon as he delivers the goods to the buyer for his own transportation at one of his premises (warehouses) or the goods are handed over for carriage to the carrier designated by the buyer. The purchase price for the goods will be paid by the buyer upon handing over, at which point the ownership right passes. Cost of transport realised by the carrier designated by the buyer, to the place specified by the buyer are borne by the seller. The risk of accidental loss or deterioration of the goods, as well as any additional costs, pass from the seller to the buyer at the time of handing over the goods to the buyer or by handing over the goods to the carrier designated by the buyer. If the goods are not picked up and / or not handed over to the buyer for failure to pay the purchase price, the buyer will not receive the goods but this fact will not release the buyer from the obligation to pay the purchase price. Seller is not responsible for customs clearance of the goods for importation into another country or for payment of duties, taxes and other charges related to the importation of goods into a country designated by the buyer. The buyer is obliged to provide all the particulars related to the importation of the goods, in particular he is obliged to fulfill all the notification obligations and the obligation to pay the relevant duties, taxes and other fees related to the importation of goods, in accordance with the legal order of the respective target country. The law of the Czech Republic is decisive for the assessment of all provisions of the concluded contract and for any disputes arising therefrom. The application of the United Nations Uniform Purchasing Law (Agreement on Contracts for the International Sale of Goods of 16 April 1980) is excluded. These General Terms and Conditions are effective since 1 January 2014. The management of the company is committed to support this policy, ensuring optimal provision and use of the necessary resources and creating the necessary conditions for the continuous maintenance and improvement of the integrated management system according to the requirements of standards ČSN EN ISO 9001 and ČSN EN ISO 14001. For our company, the customer is the most important instance, so the highest possible effort is generated to meet their requirements and wishes. We convinced the customer with the quality and speed of our services. We strive to provide the best customer service as part of our customer friendly approach. We offer a stable working environment where you appreciate dedication and excellent work performance. It is important for us to regularly raise the skills, loyalty and satisfaction of our staff. They have our full trust in the quality and reliability of the services they provide. Their 100% support is one of the most important factors for our overall success. Emphasis is placed on long-term cooperation with our partners. Our company has established procedures for a regular evaluation of our suppliers, which ensures long-term quality cooperation. Our company is committed to consistent compliance with CSR and Environmental Responsibility, as it considers the health and satisfaction of its employees and the environment to be a major responsibility on our way to profit. We undertake to comply with the applicable provisions of all legal and other environmental protection obligations. We take a preventive approach to improve the environmental impact of society. As of 1 November 2012, all tires sold in Europe are labeled with a label indicating the three basic characteristics of the tire according to EU Regulation 1222/2009. The Regulation concerns tires for passenger, commercial and commercial vehicles. The following types of tires are not subjected to the EU regulation: retreaded tires, motorcycle tires, off-road tires, racing tires, spike tires, tires designed exclusively for vehicles registered for the first time before October 1990, tires with a design speed lower than 80 km / h, tires with a diameter of less than 254 mm and over 635 mm and tires produced before 1 July 2012. 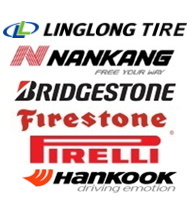 Tires are marked according to the materials supplied by the manufacturers and we are not responsible for any errors. The DOT denotes the age of the tire, or its production week and year. Markings may vary by delivery.